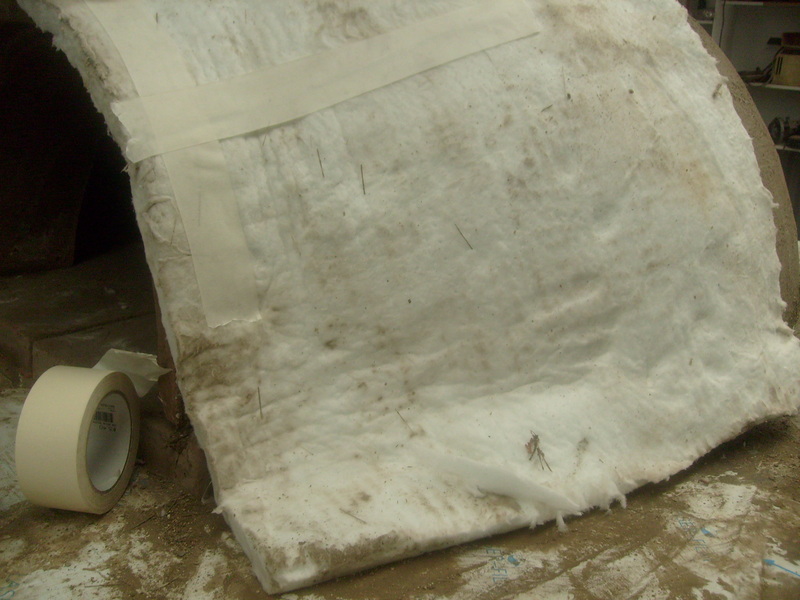 · 1 bag of external render premixed. 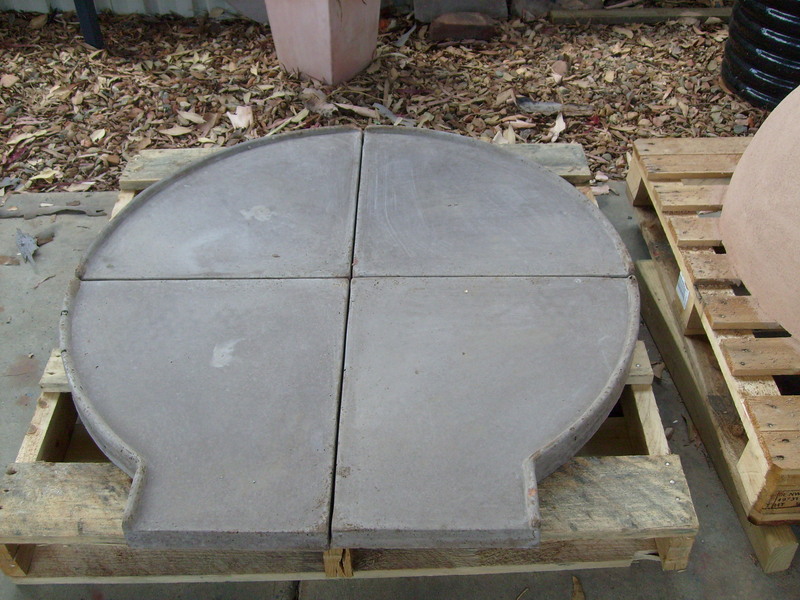 · A door hearth section in a non combustible material eg brick or granite to allow the door handle to sit on . 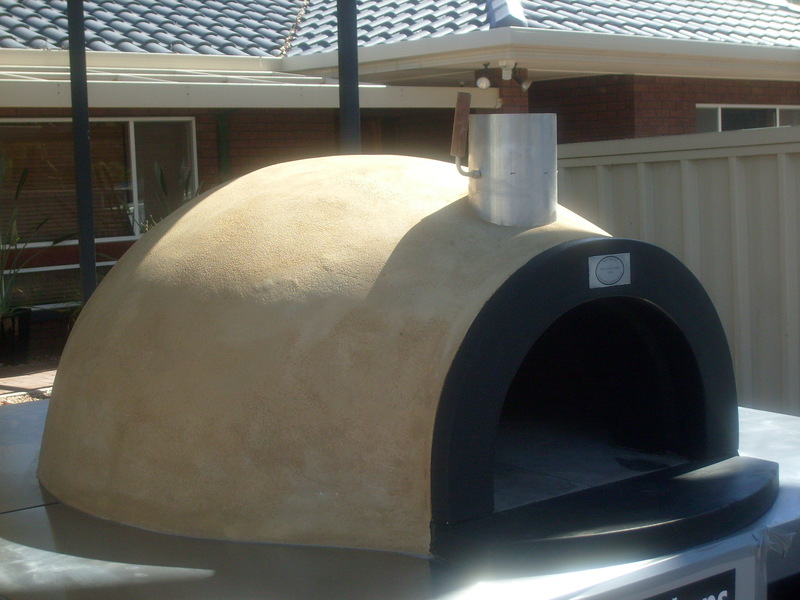 It should be noted that each section of the pizza oven is possible over 40kg and care and special lifting equipment should be employed. 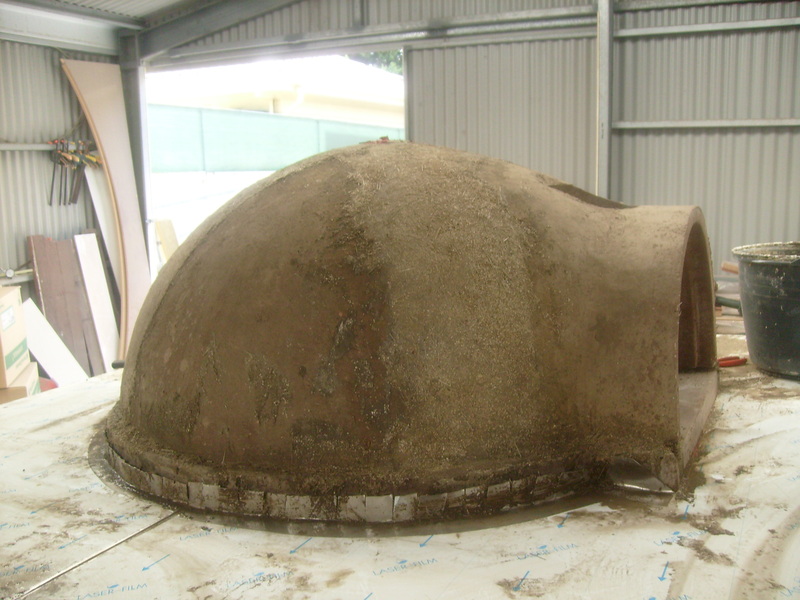 It possible requires three persons to construct the dome. 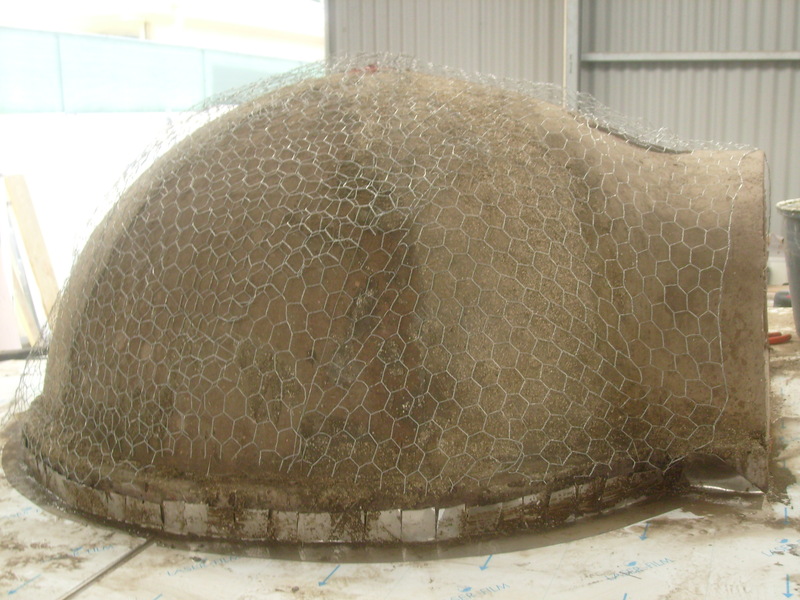 Construction of a suitable base to take approximately 500kg is essential. The top of base is to be dead level and flat with out any high spots. The top also has to be fire resistant to at least 800c. I have previously used heble power panel which is a reinforced panel for flooring. If this is used it will have to be carried out to the manufactures recommendations for spans and loads. 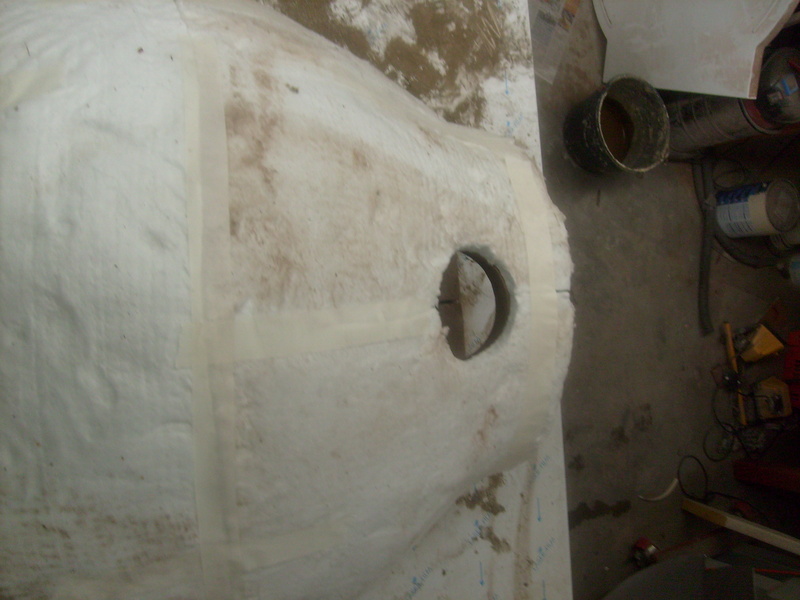 · Starting with the quarter door dome section, place it level with the two front heath sections. 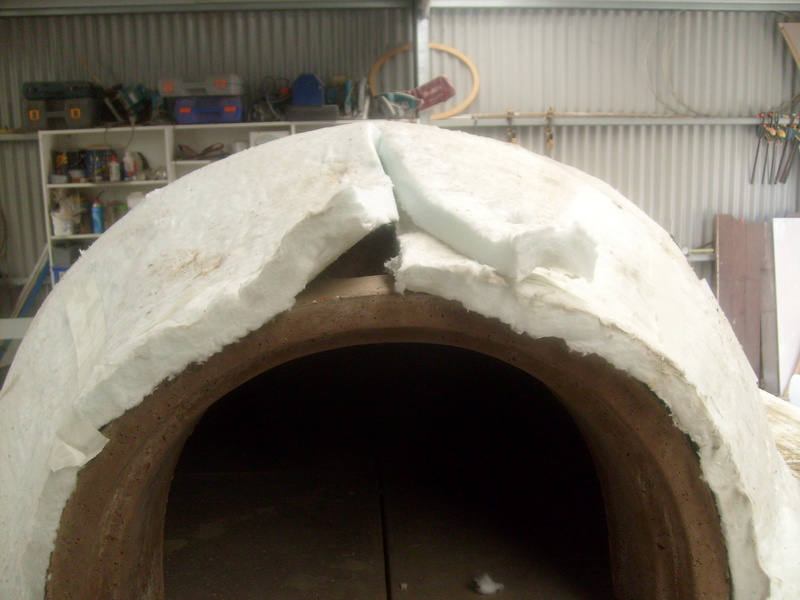 · While holding up the door section, lift the next dome section placing it carefully, against the first section. · Carry on placing the two other sections. · Adjust all sections to be even reducing gaps between sections as much as possible. 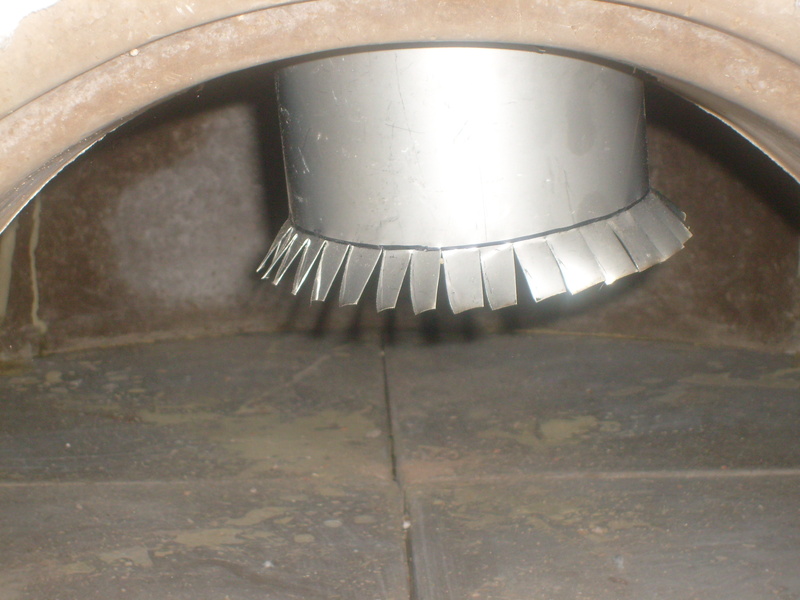 · Stainless steel damper push in from the top of the oven and spread the cut section of flue. 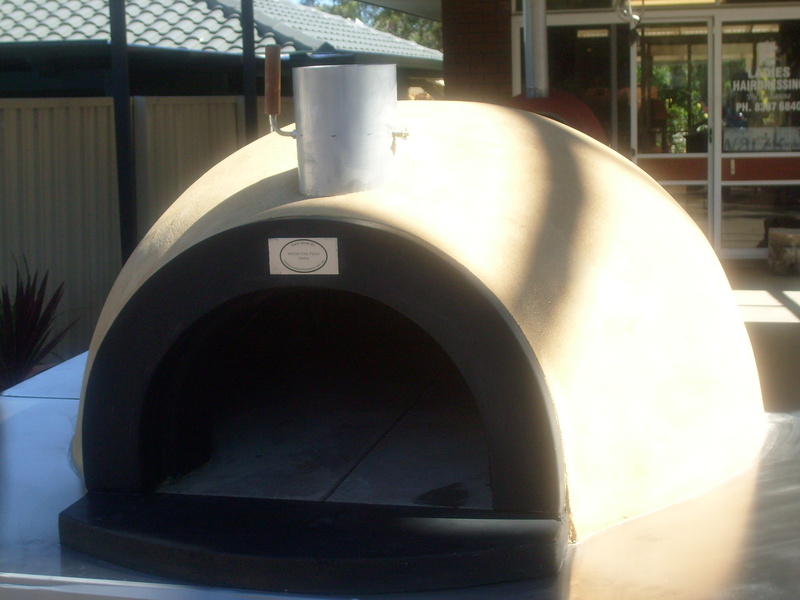 Pull the flue back up until it clears the bottom of the oven. 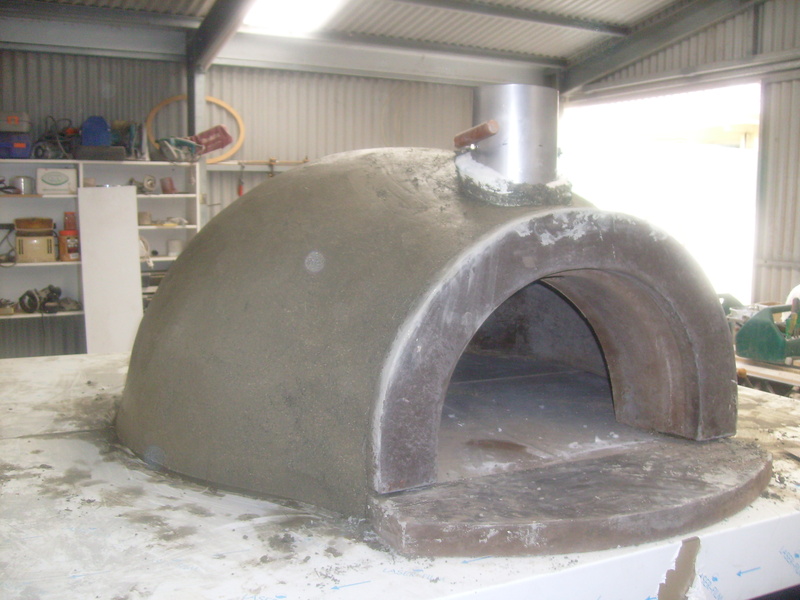 Level damper before rendering. · Moisten all joints prior to filling with refractory joint filler this may take several times till it stays wet. · Wearing gloves apply jointing compound pushing into joints with a trowel. · After applying continually moisten with a light spray for approx three hours. This is to ensure the hydration of the cement complete. 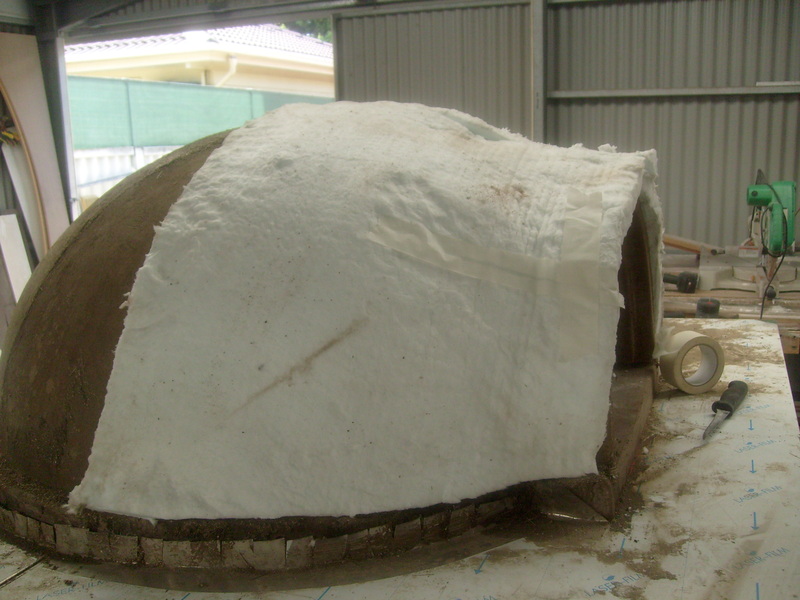 · With dust mask and protective clothing install insulation. To hold in place a small amount of masking tape can be used. 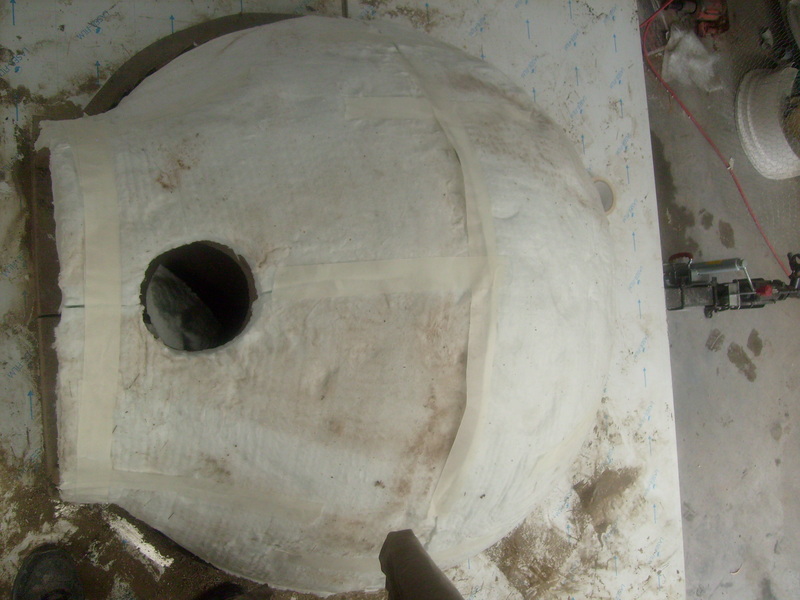 · Install galvanized chicken wire over the oven shape this prior to putting on insulation blanket. 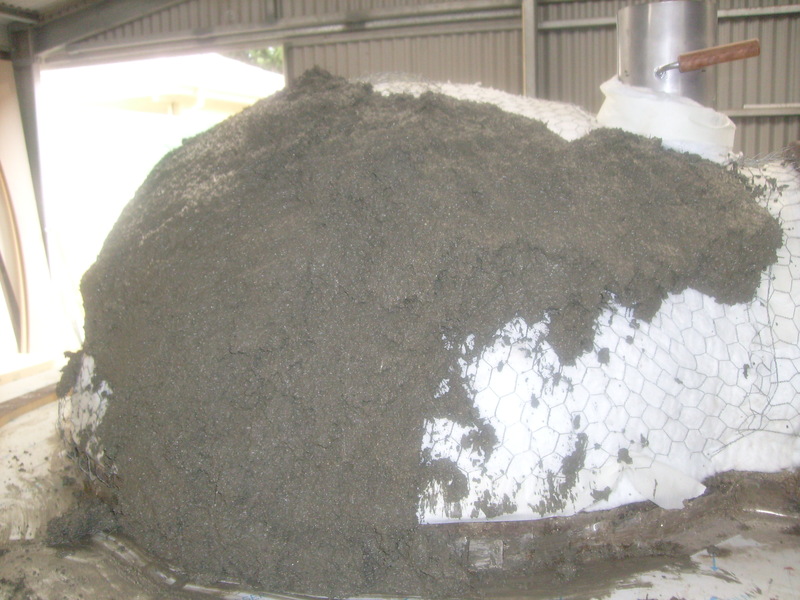 · Mix up about 70lt and 1.5 bag of cement at a time for the ridged insulation. A small amount of Bond Crete can be added to help bind the mix. When mixing it is easier if the mix is slightly wet. With gloves apply the mix by hand to approx 50mm thick and even as possible. 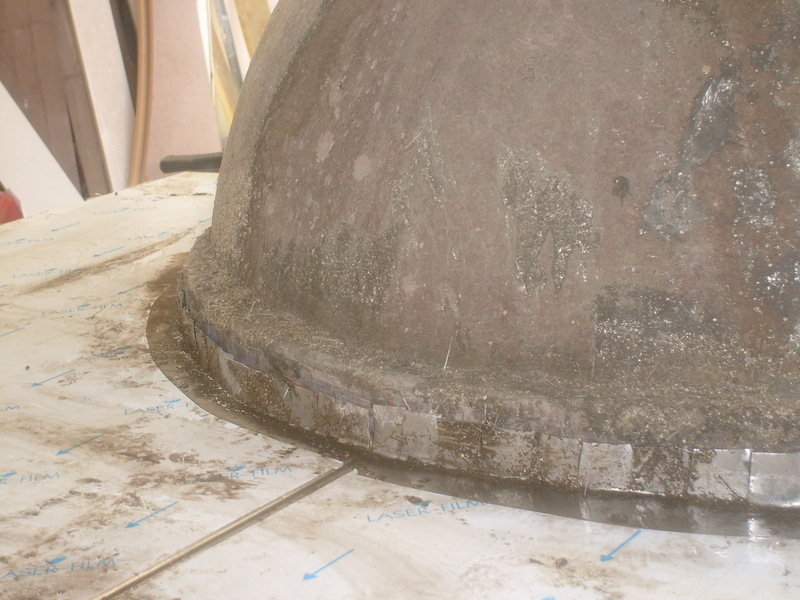 Once both applications of render have been placed, screed off with the template provided. After this steel float of to a smooth and even finish and leave to set for 24 hours. · Dry mix all the external render mix with the colour oxides. Mixing halve to start in accordance with manufactures apply the external coloured render. 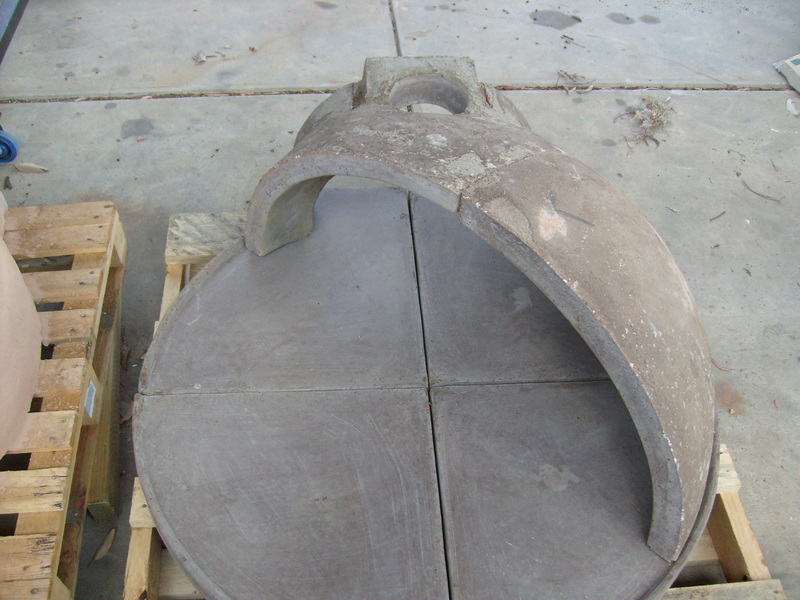 A water proofing agent such as Bond Crete can be added if required. 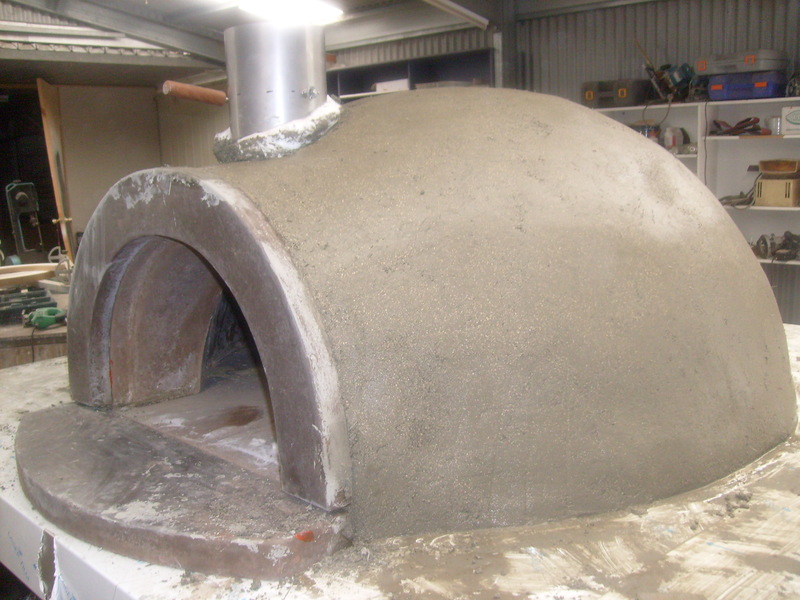 As you are now aware there has been quite a lot of water added to finish this oven, it is recommended that it have at least two weeks to dry out prior curing of the oven. 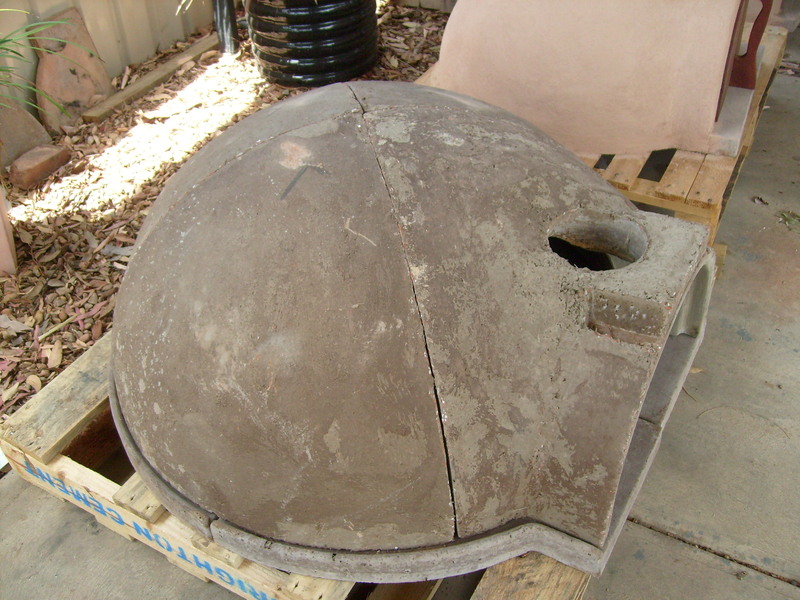 Firing of the oven may cause small hair line fractures due to moisture trying to escape.